This Phoenix canariensis is in an area of Christchurch that gets -6 degree frosts. The palm was regularly covered during the winter by the late Don Kyle, the former owner of the property. 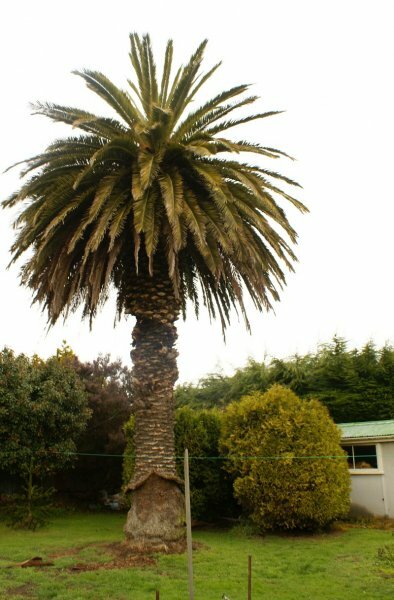 Mr Kyle planted the palm when he moved to Christchurch from Palmerston North. He went to considerable effort to ensure the establishment of the specimen. Whilst very common in the milder parts of the country, there are very few specimens of this size in inland Canterbury (Cathcart 2012). 18 Jun 2012 Cathcart, G.G.